» SPOT on Issues » Best Practices » What are your towing and transport processes costing you? What are your towing and transport processes costing you? Claims executives are looking in new and innovative places to gain better control of their costs. Advanced technologies and new industry offerings now enable them to hone in on previously difficult-to-manage costs with almost pinpoint accuracy. The issue of managing vehicle transport and towing costs is a good example. industries, which might have 10-15 primary providers (think Apple), even the smallest claims organization has to wrestle with a taxonomy of providers on an enormous scale. With hundreds of vendors in each category it simply becomes overwhelming to create a network, credential the providers, manage the day-to-day logistics, and realize the attendant benefits. Some new approaches to network management in vehicle transport may solve this issue. What are you paying for towing and transport costs? “He wants how much to tow our insured’s vehicle?” Often considered a “necessary evil” of our business, it is surprising how many carriers simply are not aware of the costs involved with their non-drivable vehicles. The selection of the towing provider may be made by a front-line desk adjuster (who has a thousand other things to do), or even worse, delegated to the repair facility itself. Towing costs are driven up as a result. Towing costs can average $250-300 for the initial tow, and $225 for secondary towing. How long are your non-drivable vehicles siting around? The primary cost of a non-drivable vehicle may in fact not be the towing cost, but in fact the storage costs and fees. There may be some significant low-hanging fruit to be picked in looking at this issue. A goal here is to identify those vehicles in storage quickly and to take immediate secondary towing action to mitigate these costs. So how might that goal be achieved? 1. Evaluate Your FNOL Process – Carriers who are utilizing a call center to handle FNOL may not be engaging vehicle transport at that point in the process, even when they have confirmed that the insured’s vehicle is non-drivable. Considering the cycle-time for claim office assignment, adjuster file assignment, initial review of the claim and appraisal assignment, a carrier can typically spend several days of additional storage / rental cost in the process. Connecting FNOL directly to vehicle transport services can significantly shorten that time-frame. 2. Quantify your Actual Vehicle Movement Cycle-time – Industry case studies have shown that the average Tier 1 carrier can have a vehicle movement cycle-time of 3-4 days from loss report to vehicle transport to repair shop. If you combine an average daily storage rate of $35 with an average vehicle rental rate of $35, over $70 per day is being incurred for any delay in your process. If that typical process could be reduced by three days, approximately $200 a day in costs could be eliminated for each vehicle. And, these figures don’t include the typical lien and administrative fees that are typical in many markets if vehicles are not picked-up within 24 hours of an initial tow. 3. Consider any Administrative Burdens In Your Current Process – How involved are your adjusters in the routine tasks of arranging vehicle transport and negotiating with tow vendors are your adjusters? Does their involvement take away from more value-oriented work, such as determining liability, mitigating injuries, or extending service to your insureds? Probably. Which brings us back to how to address these challenges… Many carriers have long-recognized the benefits of a having a managed repair network in place. Commonly referred to as “Direct Repair Programs” or “DRPs,” these networks promote consistency of process, economic leverage, and high quality standards. The emergence of new, sophisticated, national towing and logistics vendors (who specialize in towing network management as a core competency) presents claims executives with the opportunity to achieve the same benefits in this arena as well. Has your organization looked at your costs in this area? Do you use a national towing network manager? What have your experiences been? Glad to know that we share similar interests. 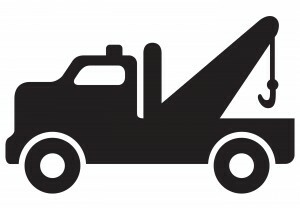 People who haven’t faced towing incidents can have a hard time going through it and the tips that is mentioned in the article can be quite handy. If you have similar tips or updates please do update me. Please contact me through my mail.